Here in Northeast Ohio, there's a band that puts a spin on holiday music unlike the traditional fare. The Ohio City Singers began as a private Christmas party and has grown into a holiday troupe. 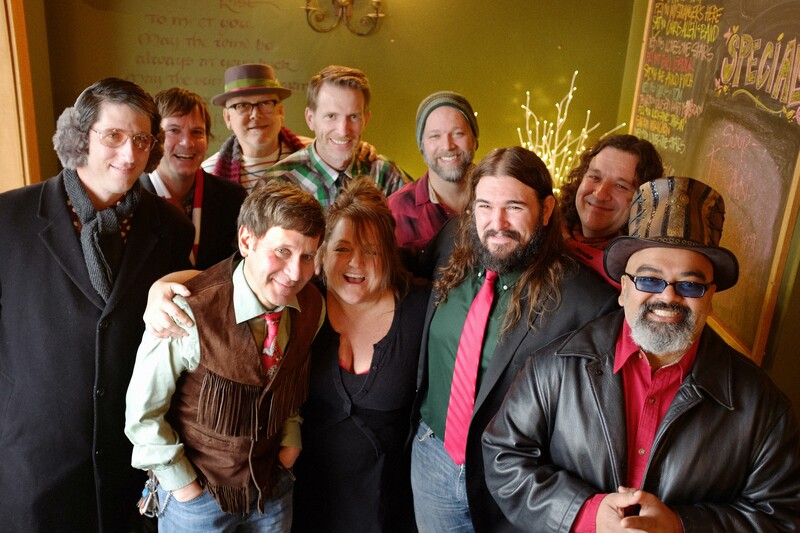 Like a local version of The Traveling Wilburys, the Ohio City Singers are a hodge-podge of local musicians who come together just for the holiday season with original songs. As they celebrate their 10th anniversary, Chris Allen and the group came to the Idea Center for a Facebook Live performance. The band features: Chris Allen (Rosavelt, The Boys From the County Hell, Falling Stars), Doug McKean (The Boys From the County Hell), Brent Kirby (The Jack Fords, The New Soft Shoe), Austin “Walkin’ Cane” Charanghat, Don Dixon (R.E.M. producer), Kelly Wright (The Anne E. DeChant Band), Matt Sobol (The Waynes), Tom Prebish (Rosavelt, The Boys From the County Hell, The New Soft Shoe), Nick Stipanovich (The Boys From the County Hell) and Fred Perez-Stable (Rosavelt, The Boys From the County Hell). The holiday super-group celebrates their decade of merrymaking with a family concert at the House of Blues Cleveland on Saturday, December 16 at 8pm.